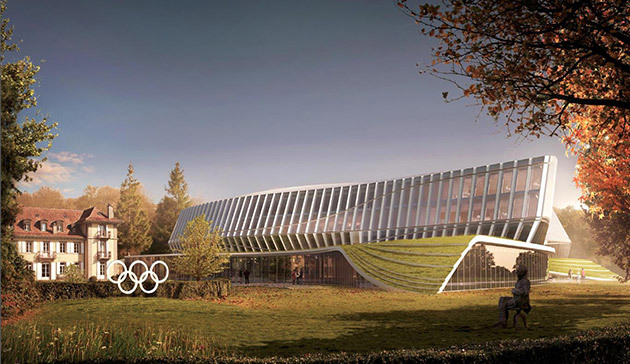 Switzerland - 2015/03/03 - The International Olympic Committee is moving ahead with the consolidation of its headquarters, as announced last December. The public inquiry process for the demolition of the existing buildings is the first step towards this realization, and will take place throughout March. The IOC initially asked the architects selected through the international architecture competition to retain the existing administrative buildings, together with the Château de Vidy, a historic monument. But their configuration and structure proved to be incompatible with the IOC’s new needs and its historical patrimony obligations.